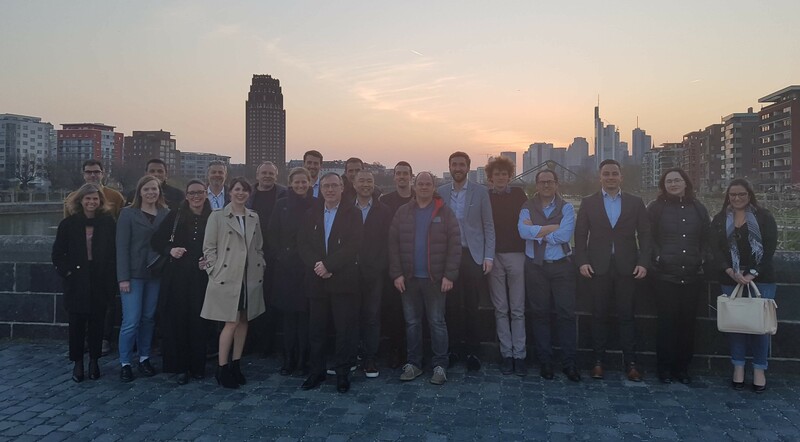 On 1 to 3 April, the POINTS project organised the second session of its educational programme for Single Points of Contact for Integrity (SPOCs) in the headquarters of German Olympic Sports Confederation (DOSB), in Frankfurt. 21 participants from 13 partner organisations participated in the seminar dedicated to the topic of Good Governance in the field of sport. The objective of this seminar, as for the first one in Lyon focusing on Manipulation of Sport Competitions, was to provide the participants with a solid understanding on different aspects of Good Governance in order to empower them when dealing with challenging situations in their roles of SPOCs. The project management, in cooperation with the partners of the project prepared a seminar addressing key issues in which SPOCs can have an impact with a combination of expert presentations, practical cases and simulation exercise. Following welcoming words by Christina Gassner, Chief Executive of the German Sports Youth and member of the DOSB Executive Board, participants received an inspiring presentation by Maria Clarke, Sport lawyer for New Zealand. Mrs Clarke, who notably cooperates with several organisations on their governance including IAAF, World Sailing and International Hockey Federation and is/has been involved in Commissions of the IOC and ANOC, described her experience with governance changes and presented some crucial elements to be taken into account during the process of implementing good governance. The second part of the session was led by the EOC EU Office team with presentations by Folker Hellmund, Director and Valentin Capelli, Project Manager, on the different activities a SPOC can conduct in the field of good governance. The activities of the second day focused on specific aspects of governance to encourage participants to discuss about their experience, to share good practices and to debate on the different issues. Fruitful discussions and exercises took place under the lead and the expertise of Rowland Jack, founder of I Trust Sport, on topics such as integrity policies, conflict of interest, difference between regulations and behaviour, transparency, elections and stakeholders’ involvement. To conclude the day, Vijaya Panangipalli, Governance Manager at Sport and Recreation Alliance UK, gave a presentation on the importance of Governance Behaviours with a focus on the work that federations made in the UK to implement the Governance Code from the Government. Two more topics were covered during the final day of the seminar: the process of modification of statutes as well as the version 2.0 of the SIGGS self-evaluation tool. To discuss the modification of statutes, Heidi Pekkola, Deputy Director of the EOC EU Office and Valentin Capelli organised a group simulation using two concrete cases on gender equality and code of ethics. The simulation was followed by concrete examples of changes in the governance of partner organisations with presentations by Dirk Deldaele (VTV – Vlaamse Tennisvereniging. Flemish Tennis League) and Apostolos Gogakos (CEV). The EOC EU Office would like to thank all speakers as well as all participants for very fruitful discussions and for contributing to a very positive working atmosphere throughout the three-day seminar. On 21st May the group will meet in Lisbon for the final seminar focusing on the role and responsibilities of SPOCs.